Going from civil engineering to financial planning doesn’t seem like a typical progression, but in retrospect, it makes perfect sense. 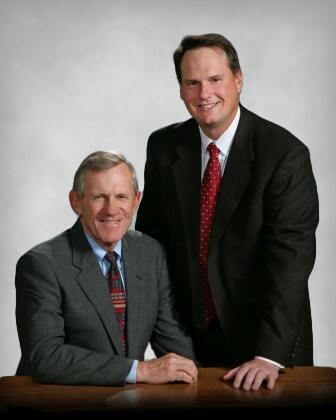 When Bill Jameson and his son, Jared, founded WJ Interests, they not only brought with them years of disciplined project management and client service experience, they brought a unique discipline. Named one of Wealth Manager Magazine’s top firms in the nation since 2005. Recognized as a top firm by Financial Advisor Magazine since 2008. Recognized in the top seven percent of advisors in the Houston area in Texas Monthly magazine since 2010. Recognized as a top Houston advisor by the Houston Business Journal since 2013. Unlike the other 80 percent of advisors, our compensation comes only from client fees, which translates into sound, objective financial advice that benefits you and you alone. In 2008, we formalized this commitment by joining the National Association of Personal Financial Advisors (NAPFA), a national organization restricted to Fee-Only advisors that recognizes industry excellence. We’ve structured our business to provide financial planning and investment management advice that is in our client’s best interest, not ours. We are selling our advice, not a product. This translates directly to a unique level of trust between our clients and us, which has been the mortar of our success. In addition, we’ve carefully managed our growth to ensure clients get the individual attention they deserve. We individually review each client’s investment portfolio on a regular basis and at least annually, we update each client’s financial plan. We’re proud of what we’ve built—our company and our reputation. But more importantly, we’re proud of our relationships and of the long-term financial success we’ve brought to our clients. To assist clients in realizing their financial goals by providing Fee-Only, objective financial planning and investment management with a focus on personalized service and open communication. Define success by our clients meeting their financial goals and realizing their dreams. Understand each client’s unique financial goals and keep those goals at the forefront of each financial recommendation. Be available, approachable and responsive. Communicate continuously with clients regarding financial progress through face-to-face meetings, consistent reporting, documentation and open conversation. Maintain a Fee-Only structure – never receive commissions on any transactions made on our client’s behalf, in order to maintain independence in our recommendations. Manage our clients’ money and investments as if it is our own, employing a fiduciary standard. Seek to continuously improve our service and identify new opportunities to grow wealth for our clients. Deliver sound, financial advice with a full appreciation of the responsibility that has been given to us. Give back through community service and social responsibility. Be honest, objective, transparent and trustworthy.